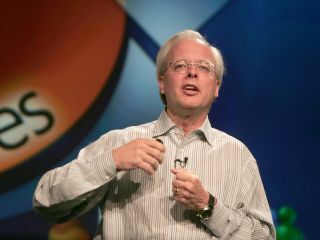 Ray Ozzie, the visionary Chief software architect of Microsoft is retiring from the company. In what is a surprise exit, Ozzie plans to enjoy his retirement, with no further job plans at this time. Microsoft employees were informed of Ozzie's exit in an email from Microsoft's chief exec Steve Ballmer earlier this week. Ozzie will not depart immediately, but continue to work for Microsoft through this transitionary period. "While Ray will be onboard for a while, I'd like to thank him today for his contributions to Microsoft," Ballmer said in the memo. Ballmer has said that Microsoft will not attempt to replace Ozzie, with plans to eliminate the chief software architect job. Ozzie is perhaps best known for his role in creating Lotus Notes, having joined Microsoft as its chief technical officer (CTO) back in 2005, after Microsoft purchased his collaboration software company Groove Networks. Ozzie became Chief software architect – a role originally created for Microsoft founder Bill Gates – in 2006, when Gates handed over day-to-day control of his company. "Since being at Microsoft, both through inspiration and impact he's been instrumental in our transition toward a software world now centered on services," added Ballmer.